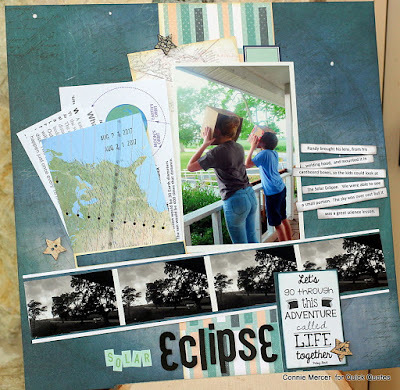 Blog Quick Quotes: Solar Eclipse with Connie! Oops! There was an error in our challenge link (our apologies! ), therefore we are leaving the challenge open through November 2 to allow more folks to play along. Our next challenge will begin Friday the 3rd. The theme for October is Memorabilia... We would love to have you join in, please check it out here! 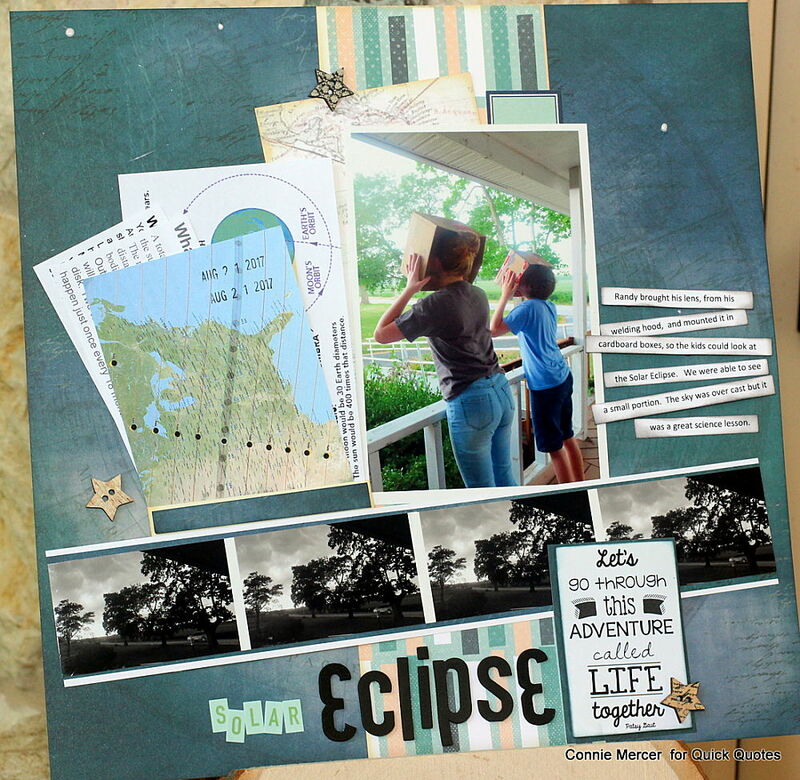 Hi, Connie here with a scrapbook page using my Canon iP8720 printer and the Adventure Awaits Collection by Quick Quotes. 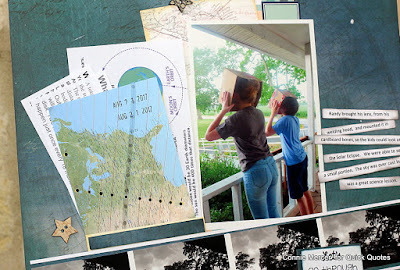 I wanted to document the Solar Eclipse this year, when we were in Indiana, and include memorabilia on the page. 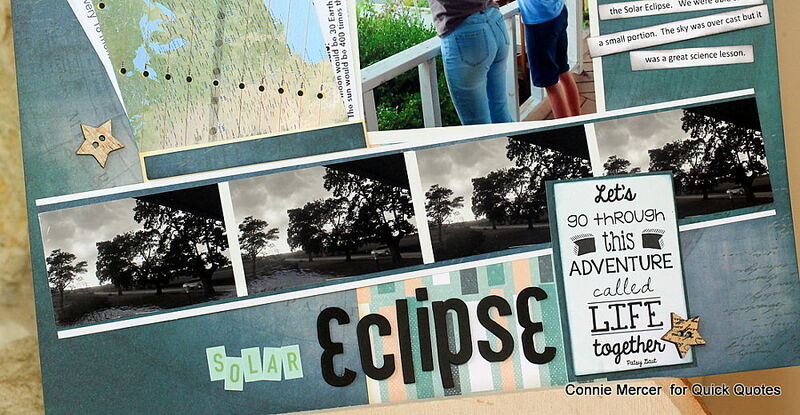 I created a collage and printed out with my Canon iP8720, but this time I used one picture over and over again. 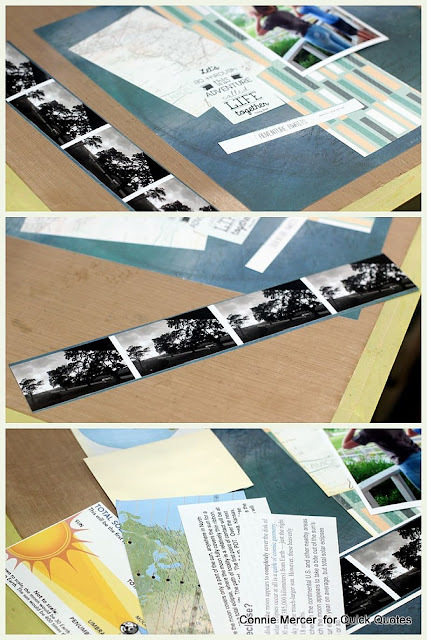 Love the look of the same photo being repeated to create a photo strip. 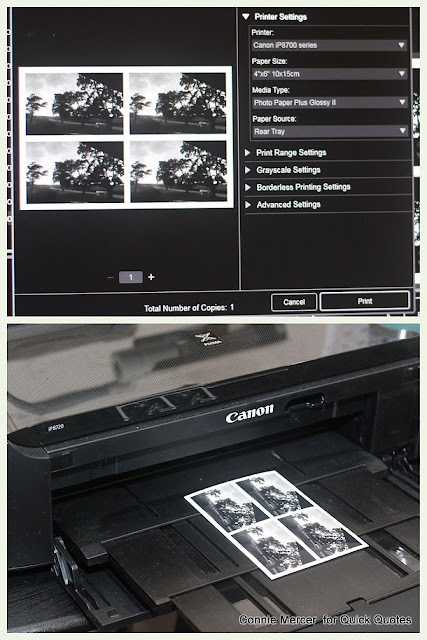 I printed the collage out, using the gray scale setting, on the Canon iP8720. Canon photo paper Plus Glossy in a 4"x 6" was used to print the photo out on. 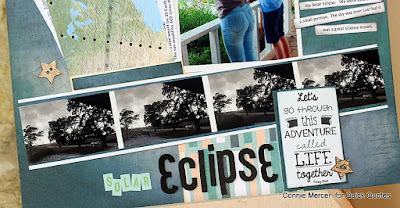 The collage was cut in strips and mounted on a sheet from Adventure Awaits Collection by Quick Quotes. Then the photo strip was mounted on white cardstock. Love making these! I also created a pocket for the memorabilia. I used a library envelope (the kind that used to be in the back of the library book to hold the library card) and attached it to my page. I printed information out about the Solar Eclipse and added it in the pocket. 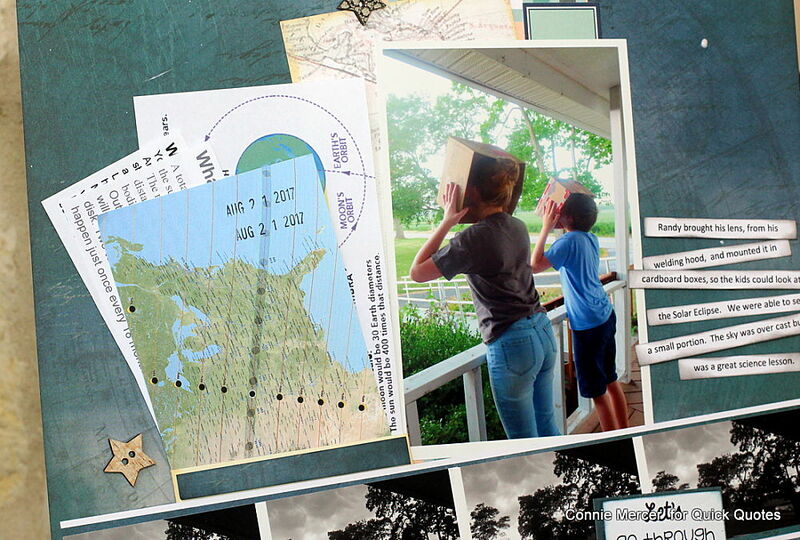 Our day was documented by a journal space to the right of the photo. Fun day!! Canon Photo Paper Plus Glossy 4" x 6"